I've been reading with my ears lately, and that's not usually my chosen method. I'm finding that, right now, audiobooks are rewarding and engrossing in a way that print is not. I can't depend on my tired, rebellious brain to bring books to life for me, so I need a kickass reader to do it. I also do some pretty serious commuting, and rather than finding my drive a chore, it's become a moment of solace in my day. 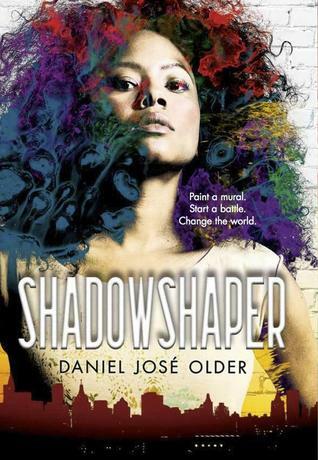 I just finished Shadowshaper by Daniel Jose Older. I've heard nothing but good things about Older from the likes of Amanda and Jenn on the Get Booked podcast. When I was browsing my library's audiobook holdings, it popped out at me, and the rest is magic. Read by Anika Noni Rose, this book was magical and mystical and sensual and fast-paced. In short, it was just the kind of novel that pulls me in from the start. Sierra is a teen growing up in Brookyn, and she's a talented artist. As the summer begins, she's looking forward to a carefree time, but then a zombie something-or-other shows up at a party and changes everything. Along with her friends and a mysterious cutie and fellow artist, Robbie, Sierra begins to uncover the Shadowshapers, an order originally comprised of her ancestors. They can channel spirits into art--paintings, music--and those spirits will work with them, protect them. It's great until a twisted anthropologist comes into the mix and screws everything up, perverting and twisting the Shadowshapers' abilities to fulfill his own selfish wishes. This was a perfect pairing of novel and reader. Anika Noni Rose is seriously amazing. 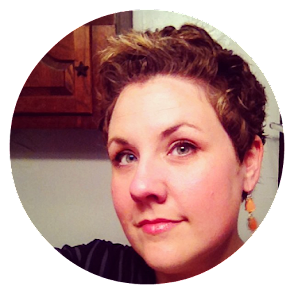 Her voice is buttery and enthralling, filling Sierra and her quirkiest friends with life. Older's writing is quirky in itself, cheesy in spots, but so much fun. I appreciated the atmosphere of New York, the distinct voices of Sierra's friends, and the inclusiveness in this YA urban fantasy. Sierra's Caribbean heritage and the web of culture, magic, and family in this story was lovely and refreshing. As usual, I'm not doing this one any justice, but if you need something fun to sweep you away, this is probably it. Audiobooks are what are working for me right now, too. I actually got a book by Older in the last Audible sale, so hopefully I will enjoy it and then will get this one! I can barely do audiobooks (even tho I love the idea of them, but I'm just not ever doing stuff that requires/allows for listening for long amounts of time). But I'm DYING to read Shadowshaper -- it sounds so good! I agree completely. Shadowshaper is a great story, but Anika Noni Rose's narration makes it so much better! I really need to get around to reading Older one of these days. It sounds like via audiobook is the way to go! I finally read this book last month! It was a reading I heard by DJO that convinced me to read it. I thought he would do a great job at narrating the audiobook, so I wasn't sure how I felt when I realized he didn't do that. I'm glad to hear that a woman does such a great job at it.